Apple’s HomeKit is finally starting to roll out to actual consumers, via the first crop of HomeKit -enabled accessories from third-party manufacturers. This means you’ll soon be able to get your hands on a range of products for the connected home that work with Siri on your iOS device, and that you’ll be able to do so as soon as today, since some of the new HomeKit accessories start shipping now. The accessories in question range from sensors, to lights, to thermostats, to smart outlets, and come from a group of accessory-makers with a trusted reputation in the connected home industry. HomeKit may have taken a while to arrive, but it’s doing so in grand fashion, with a practical lineup to get your home connected to your iOS ecosystem in an essential way. 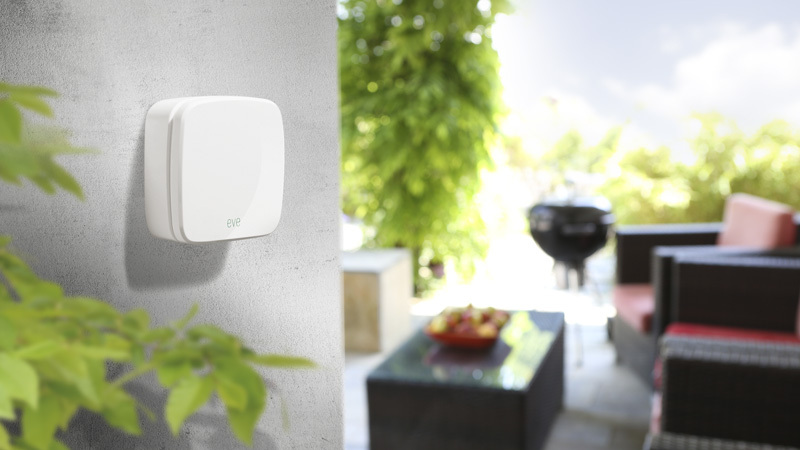 The Elgato Eve is a set of connected wireless sensors that monitor key factors like indoor air quality, temperature, humidity as well as conditions outside, like temperature, humidity and air pressure. Four sensors are included in the box, including Room for indoor monitoring, Weather for outdoor stats, Door & Window for checking open/closed status of those entry points, and Energy for checking what’s drawing power and switching them on and off remotely. Using HomeKit, iOS device users with 8.1 or above can check on all the stats gathered by the Eve from their devices, and even do so when they’re away from home using Apple TV (generation 3 or later with OS version 7.0 or later), thanks to its ability to act as a HomeKit remote hub. Pre-order for the Even sensors kicks off today, at Walmart.com and Amazon, and you’ll be able to pick them up from the Apple Store starting in July when they hit shelves. Sensors are sold individually at $79.99 for Eve Room, $49.95 for Eve Weather, $49.95 for Eve Energy and $39.95 for Eve Door & Window, and the app is free. 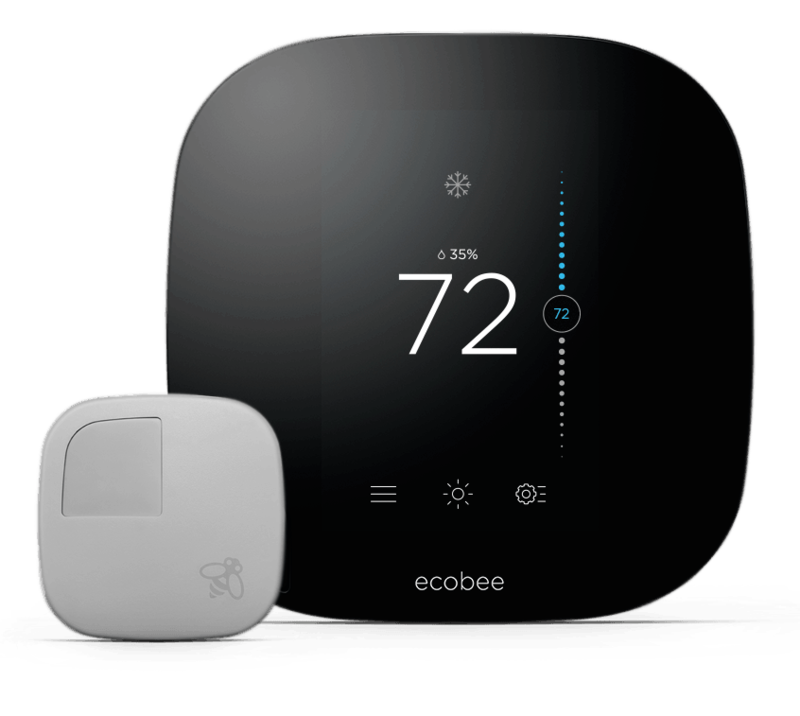 Connected thermostat maker ecobee is adding HomeKit to its ecobee3 hardware, which is designed for houses that have multiple rooms in need of climate control. Remote sensors help it monitor temperature in multiple rooms at the same time, letting you save energy and maximize comfort in every area. With HomeKit, ecobee3 owners can group actions together for control via Siri, and control things remotely with the Apple TV component. It starts shipping later this month, and will be in Apple Stores, Home Depot, Best Buy and Amazon in July for $249, with additional remote sensors available as add-on purchases for $79 per pair. The Caséta Smart Bridge is a wireless lighting hub that makes up a core part of the Caséta Wireless Lighting Starter Kit from the company. This HomeKit version lets users control lights in specific areas, as well as check with Siri to see if lights are either on or off in specific areas of the house you might not be able to see at any given moment. With HomeKit, you can control specific rooms or groups of lights separately, or turn everything off with voice commands. You can also control things remotely provided you have that late-generation Apple TV. 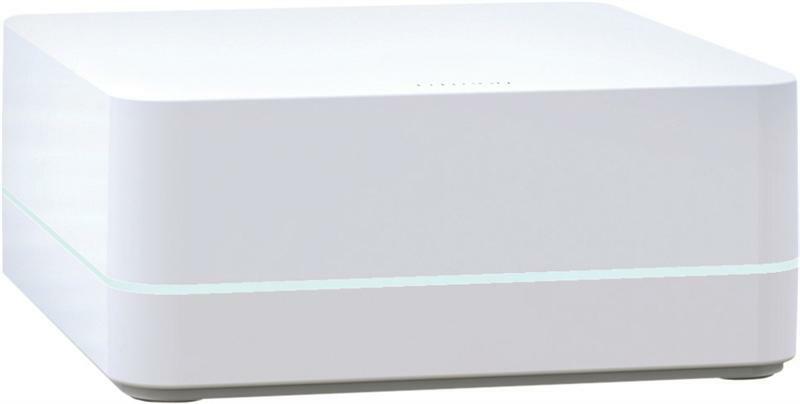 Lutron’s HomeKit-enabled Caséta Smart Bridge is part of the Lighting Starter Kit that also includes two dimmers (which work with your existing bulbs), two remotes and two pedestals to hold them. It’s available at Apple Stores starting today, with a retail price of $229.95. Additional dimmer/remote combos sell for $59.95. The Insteon Hub with HomeKit allows users to control the whole range of Insteon connected devices from the company, including LED bulbs, plug-in lamps, thermostats, wall outlets, cameras, door locks and more. And in addition to its full range of first-party products, the company is also now offering up a brand new version of its Insteon+ app for iOS 8.1 or later, which will also work with HomeKit-enabled devices from other manufacturers. 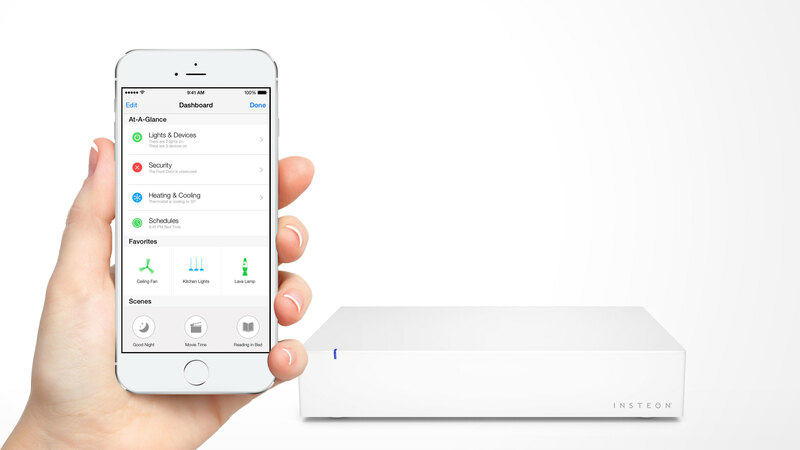 Insteon is clearly looking to be a one-stop shop for users looking to create an Apple-friendly connected home, letting you group a range of devices and functions together. The new Hub is available at Amazon.com and Smarthome.com right now for $149.99, and will make its way to physical retail stores starting in early July. Accessory maker iHome is getting in the smart home game with a new HomeKit-enabled smart plug model, the iSP5. The smart plug allows you to turn anything that plugs into an outlet into an intelligent device, and to use multiple iSP5 plugs to create “scenes” which turn on or off multiple gadgets at once. 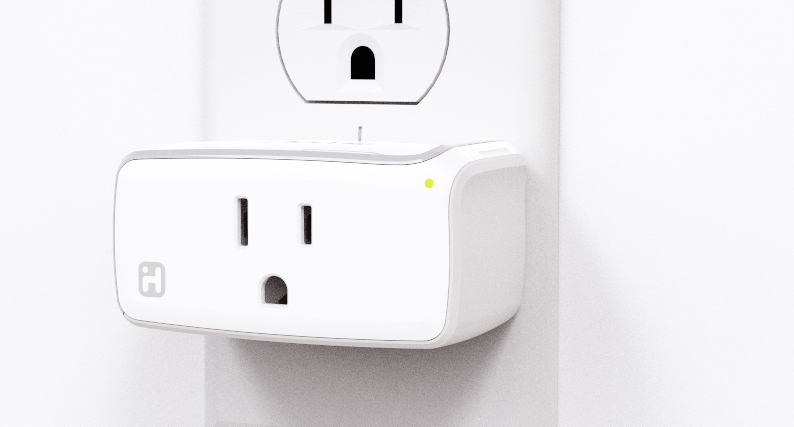 The SmartPlug itself is designed to be low-profile, and to allow for two to work in a standard wall outlet at the same time, or to keep one outlet free. The iSP5 SmartPlug will be on sale in retail beginning in late June or early July, but pre-orders kick off at iHome.com starting on June 15. The plug’s pricing is not yet announced. In case you’re hazy on the details of HomeKit, here’s a quick primer: Devices that work with the protocol can be controlled via Siri so long as you have their app installed on your device, and are running iOS 8.1 or later. Set up and discovery is handled automatically just by tapping, and you can use groups to control different collections of devices. If you also have an Apple TV (generation 3 or later) you can also control HomeKit-enabled devices remotely, when you’re outside of your home Wi-fi network. Apple had told us the first HomeKit accessories were coming in June, and this crop of initial partners delivers that. It’s interesting to see Apple announce this ahead of WWDC, the keynote for which is next Monday – it implies they’ve got so much to talk about that a HomeKit partner parade didn’t necessarily fit the agenda.